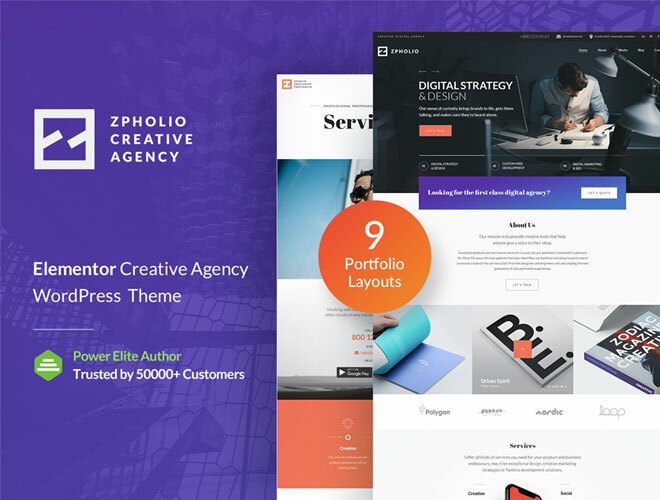 We are happy to represent our new zPholio creative portfolio WordPress theme fully based on Elementor front-end drag-n-drop page builder and available with a plethora of useful features. 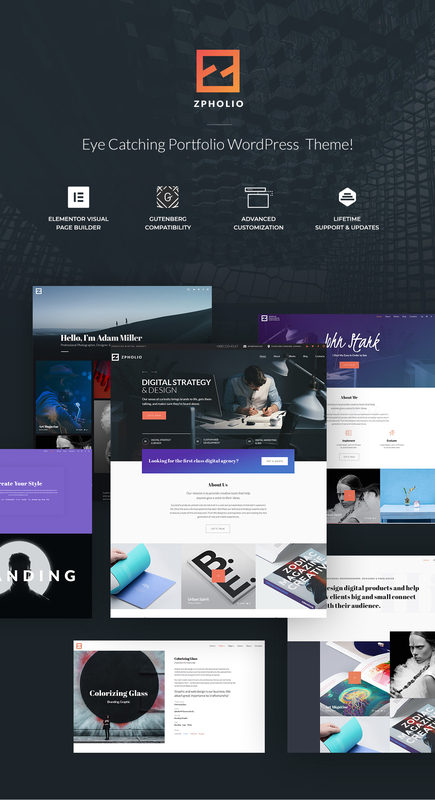 It comes with 4 homepage layouts each designed with the modern trends in mind and with a selection of header styles you can pick up to your taste. The template provides you with a great variety of choices when it comes to showcasing your works on the Web, ‘cause you can opt for any portfolio layouts from the list of pre-defined ones. Thus you can show off your projects as isotope filter gallery, packery, slider, fullwidth, or some other gallery types you prefer. If you want to creatively introduce yourself to your potential customers, disclose the curious facts from your life and creation on the About Me page or introduce your team on the What We Do page. Share the list of your services, unveil your achievements and place any other information on your personal portfolio pages to attract as many customers as possible. By the way, you can feel free to run your blog using ZPholio’s pre-configured blog layouts with or without sidebar as well as take advantage of a number of single post types available. If you’d love to sell your self-crafted products on the Web, the theme also comes with eCommerce functionality and shop page layouts, so just upload your products, sell them and get your profit. 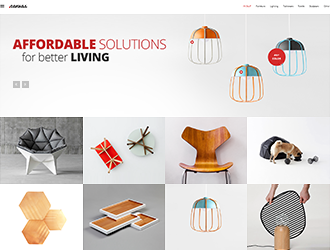 Check out more of the theme’s features and enjoy it now.